Those who were fortunate (wise?) 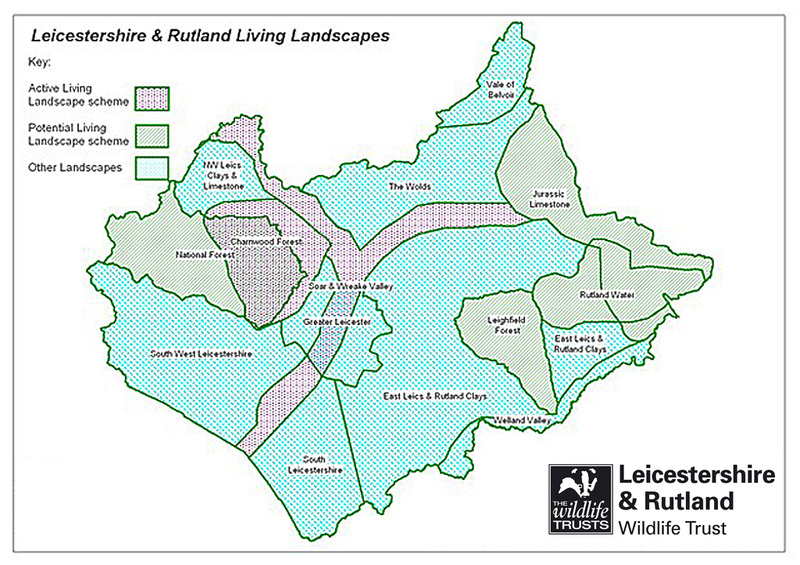 enough to attend the Leicestershire and Rutland Wildlife Trust AGM on 12th November were treated to a very thought provoking talk by Brian Eversham, Chief Executive of the Wildlife Trust for Bedfordshire, Cambridgeshire and Northamptonshire, with the title "Climate Change and British Wildlife". Brian started with a view of the past - the rather ancient past. The common view of ice ages is that they were unbroken frozen eras but this is far from the truth. Over the last million years there have been about eight "ice ages" separated by warmer interglacial periods. Wildlife has always responded to this constant change, initially by vertical migration from the lowlands to the highlands, but also by long distance movement - north to south when then climate cools and south to north when it warms. It doesn't matter whether you believe climate change is entirely man-made, entirely natural, or currently a mixture of the two, the fact is that the climate is constantly changing. It's natural to think a million years is a long time, and these changes must have occurred slowly, but in fact data from ice cores, and more importantly, pollen records from lake and peat deposits show that in some cases change has occurred amazingly fast - nearly a double figure increase in around a decade. Wildlife has always responded to these changes and will not stop trying to do so in future. Species distributions change constantly with time, but wildlife marches on. In Europe, north-south migrations have shaped our flora and fauna. What we see now is what landed after the last cold period. The Alps and the Pyrenees are a barrier to north-south movement, channeling migration into species-rich corridors. The big recent change was the opening of the English Channel after the last cold period ("Fog in Channel, Continent Cut Off" as the apocryphal headline never said). For birds, migration is easy, but many Chiff Chaffs have already decided that going south in winter is too much fuss and now stay year round. How long until the Ospreys decide that if Rutland water is not going to freeze over, why bother flying to Senegal and back? Juvenile spiders balloon on silk threads and can easily cross the channel, as can butterflies and moths (every year), and very light orchid seeds land on Dorset and Kent. For trees, mammals and amphibians, crossing the Channel is hard. This is where we can change the future. Wildlife responds to climate change. Personally, I look forward to the arrival of all those Mediterranean species we are already starting to record. This brings us to The Big Idea - landscape scale conservation. It's a good idea to have flowers and bird boxes in your back garden, but pocket handkerchief nature reserves aren't going to cut it when it comes to cimate change. Something bigger is needed, and specifically, the big pieces of the puzzle need to be joined up. So in addition to landscapes which support wildlife, we also need corridors it can move along. We don't have to knock down houses to get this - roads, railway lines and rivers work just fine, as long as they are properly managed (which they're not at present). The Wildlife Trusts have embraced this with their Living Landscapes project. In Cambridgeshire, Brian has been extensively involved with the Great Fen project and it's happening here too - the Leicestershire and Rutland Wildlife Trust is actively working to create a whole set of living landscapes across VC55. So if climate change is getting you down, look forward to living landscapes and support the work of the Wildlife Trusts. Oh, and don't foget to record your observations of our ever-changing wildlife.